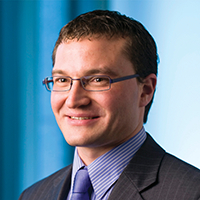 Wayne Jocic joined Melbourne Law School as a full-time academic in 2014, after teaching part-time since 2005. He is also a part-time consultant in the construction group at Corrs Chambers Westgarth. His teaching and research interests are in construction law, contract and private law generally. Wayne previously worked for a decade at Clayton Utz, and advised on major construction projects in every state. He was previously a Senior Fellow in the Melbourne Law Masters and a sessional lecturer in construction law. He has taught in various capacities at Melbourne Law School since 2005. He has also worked as a sessional lecturer in the Faculty of Law at Monash University. Wayne graduated from The University of Melbourne with a Bachelor of Commerce, Bachelor of Laws (Hons) and Graduate Diploma in Arts.